Do you like saving money? Wearing clean clothes? Helping the environment? If you answered yes to any of these questions, none the less all three, then today’s Deal at Froobi.com is for you. 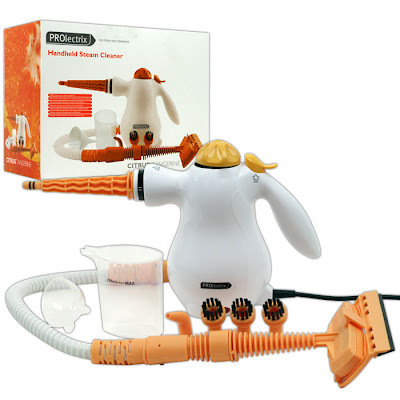 The Prolectrix Handheld Steam Cleaner provides 1000W of steam power for effortless cleaning, and the ergonomic design is both functional and stylish. It has a 220ml water tank capacity, and jet spray and angled spray nozzle, and is environmentally friendly with no need for detergents. 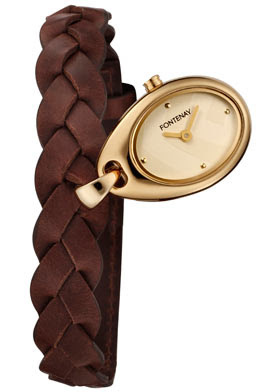 A modern design and a classy style fuse into one to form this Women’s Fontenay timepiece. The champagne dial goes perfectly with the brown braided leatherette strap to create a unique design that will accentuate your style and add distinction to your wardrobe. You can get this nonpareil watch today only at Froobi for $25.99 w/ a 365 Swag Bucks Rebate .